It’s no big secret that Portland is emerging as a city known for fresh fashion and design. The local design community has delivered a handful of winning designers on Project Runway and has been featured in fashion shows around the world. I recently discovered an amazing stage for these designers and their creations. 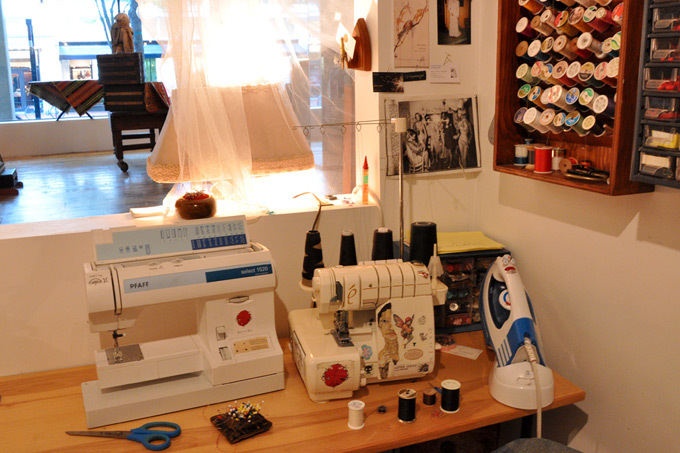 The Portland Design Collective is a group of local designers, vintage garment experts, and savvy entrepreneurs who have joined forces to premiere their creations in fashion shows, workshops, and a retail location. 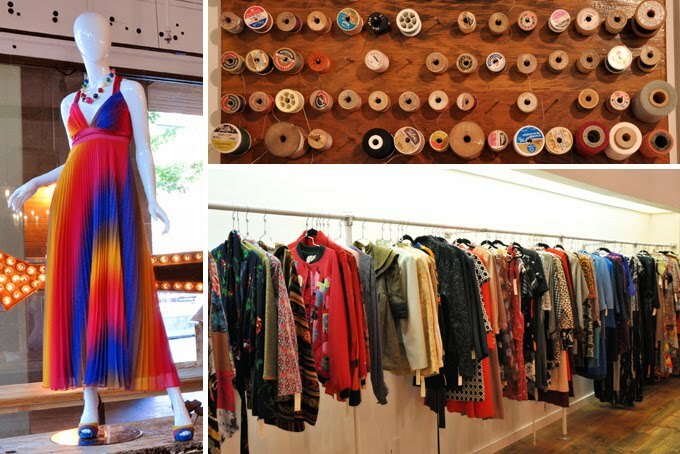 The retail store is located just a few blocks from the Knit Purl storefront and is a must see if you are in the neighborhood. 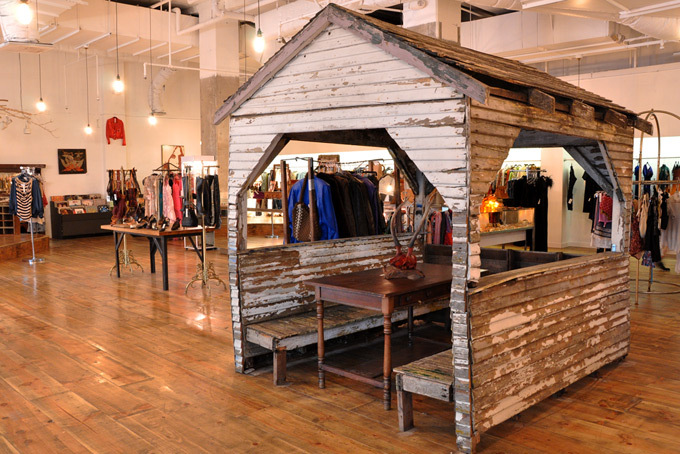 The spacious 4,000 square feet of display floor is artfully arranged with salvaged signs, old store displays, and interesting architectural elements. This provides a stunning backdrop for the designer fashions and premium vintage finds. There is a vast array of items to browse and the staff welcomes questions and comments. Women’s clothing includes special occasion wear, dresses, separates, jewelry, and accessories. Menswear has both vintage finds and designer creations. Alterations are available on-site to assure a perfect fit. The quality is apparent in the garments and this is the place to find a one of a kind piece that nobody else will be wearing. The store has received recognition in such publications as Sunset Magazine, PDX Monthly, and many features in the Portland Mercury. 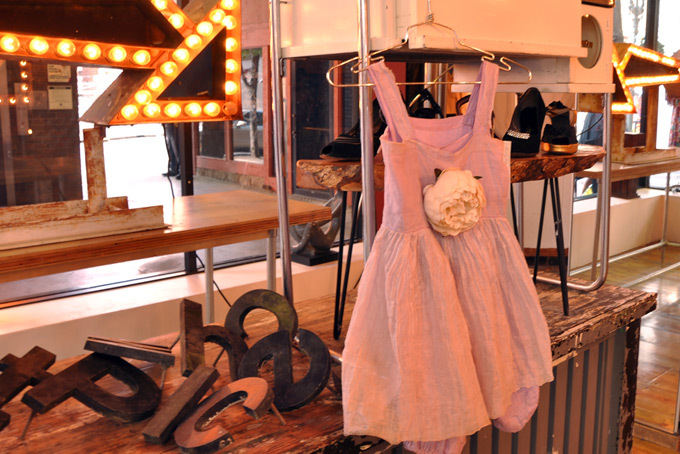 The store also hosts and organizes fashion shows and events which are advertised locally and on their Facebook page. We here at Knit Purl encourage a stop at the Portland Design Collective. It’s a visual feast and you will leave feeling inspired! Be sure to look them up on Facebook. There are frequent updates and links to special events and local fashion happenings. The post Fashion City appeared first on Knit Purl Blog.